Since the beginning of time, Land S urveying has been a fundamental component for the development of our human environment. As one of the oldest professions, surveyors have shaped not only our physical world, but also America’s history. 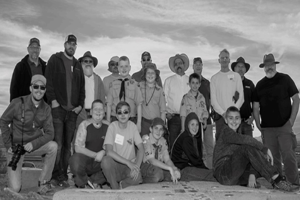 Wood/Patel is proud to support the Boy Scouts of America and we thank Mike for his commitment to the future of land surveying.